Have you heard of Blurb? Its a photo book making website, where you do the designing and creating with your own photos and words! You can make a cookbook, publish your own book, create a wedding album, or even an Instagram or Facebook photo album! Blurb has just launched a new template collection, the Designer Book Collection! And now I’ve got a great deal to share with you today, Blurb is offering 20% off on your Blurb Designer Photo Book, now through March 31, 2013! The Designer Book Collection features six 7″x7″ book templates, ready for you to pop in your photos to feature an art portfolio, photography portfolio, or just your favorite collection of photos! These six templates are all about highlighting your beautiful photos, while including spaces for journaling. The books are easy to create with a new drag-and-drop process. Designer Books make great birthday gifts or for capturing memories of a wonderful Spring Break! Use code DESIGNMYBOOK to save 20% on your Blurb Designer Photo Book, coupon code expires 3/31/2013. • Designer Collection: six beautiful photo book templates for our 7 x 7 inch books, created with designer Laura Brunow Miner. 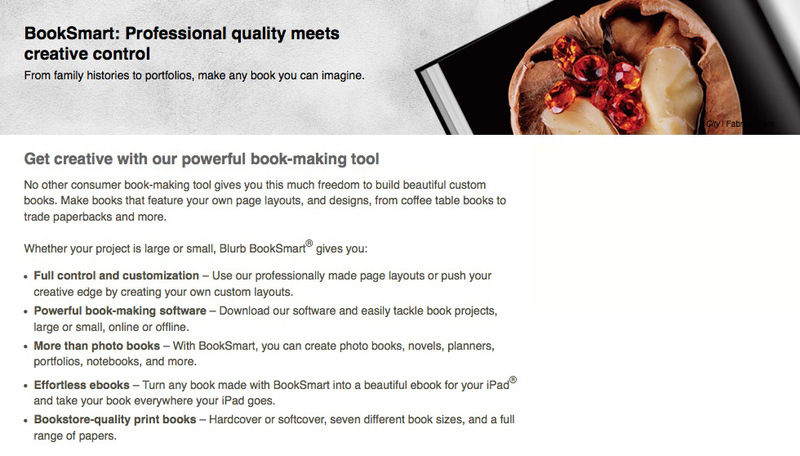 • Create a quick, high-quality Small Square book with our streamlined drag-and-drop process. • Choose one photo to highlight per page, switch photo orientation, add captions if you wish – even import photos from Facebook and Instagram. • Ideas: These books make great birthday gifts, are perfect for capturing your child’s Sports season, make lovely host/hostess gifts, ideal for capturing your Spring Break memories, and much more! • Well-priced: starting at just US $10.95. I have been looking through their wonderful book ideas for the past week! OMG! I have seen this site before but could never come up with any ideas of what to make. However I think I have finally decided what I will make my book about- all my graphic design and paintings and other artwork! I have artwork dating back over 20 years! I would love a solid collection, with beautiful colors of all those pieces in one spot! Of course I have to scan a lot of my artwork, because lots of it was on paper because I used to draw all the time as a kid. So this will take some time to finish, but I am excited to get working on it! I loved creating a book design when I was in college, this should be a fun experience full of all sorts of perfectionist complications! haha I can’t wait tho! This is a snippet of the description of the Blurb Booksmart application you can download on their website. I am so excited to get started designing my own book! What will you create your book with?? Disclaimer: The opinions within this post are my own, I was not paid to give my opinions, however these are links to my affiliate account and I will receive a small commission from any purchase you make through them. Thank you for clicking from my website. This entry was posted in Books, Photography, Shop and tagged blurb, books, buy books, design your own book, designer books, great birthday gifts, hostess gifts, photo book, photo gifts, photobooks, photography book, portfolio photography on March 23, 2013 by christinapertz1.